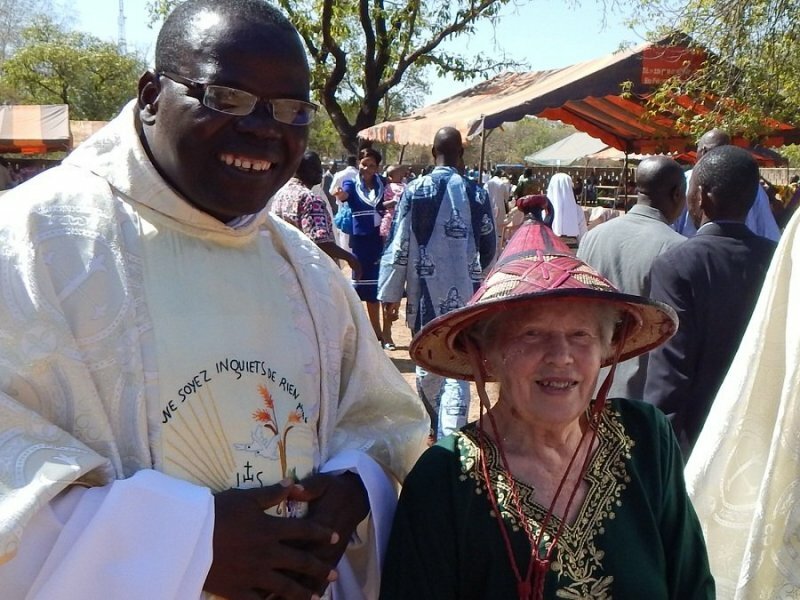 The last blog was about the Anglican Benedictines of Pershore / Nashdom who had a foundation in Ghana from 1923-31. 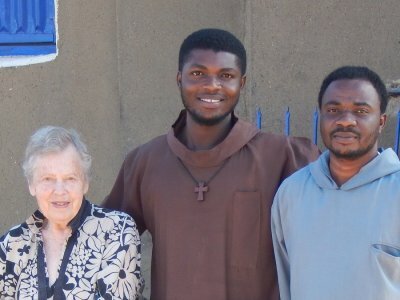 Just before the monastery in Kumasi closed, there were plans to move to a new location in the north of Ghana. 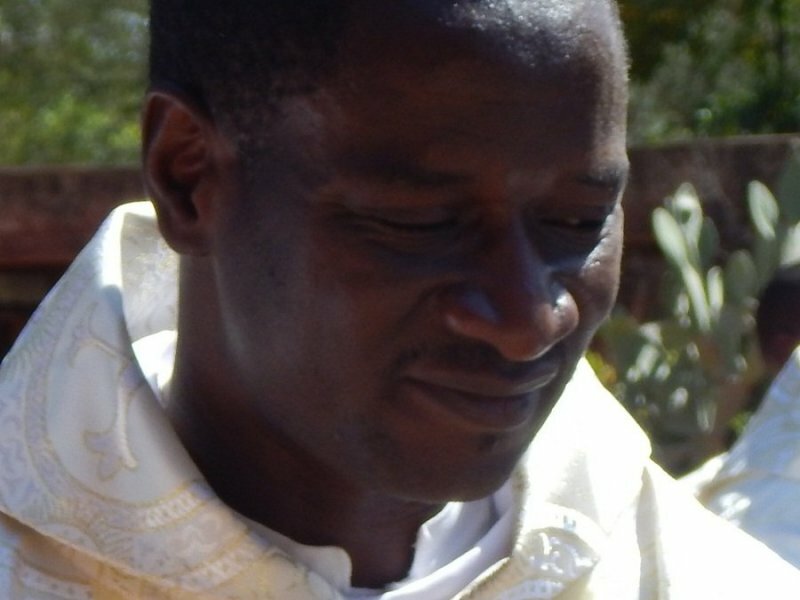 I have been using various trips to reconstruct the stages of their journey and in December a visit to our monastery of Koubri in Burkina Faso gave an excuse for the tackling the first leg. 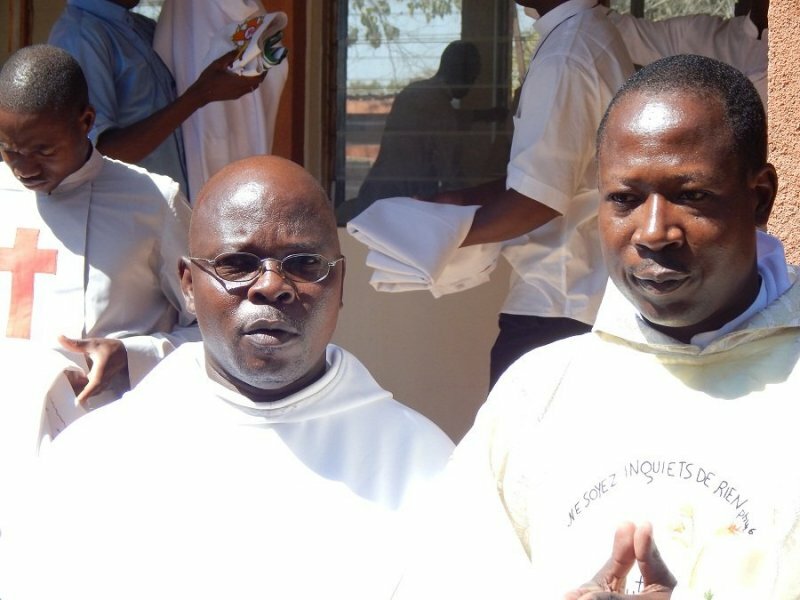 The two monks, with their cook and coffee-pot in the back of the car, headed north on the old Kumasi - Mampong - Salaga - Tamale road which has now been blocked by the artificial Volta Lake constructed by Kwame Nkrumah in the 1960s. What had been a simple river crossing in 1927 is now a five-mile width of water with an early-morning daily ferry. We took the new north road instead(which comes through Techiman and runs along one side of our farm) and joined their road at Tamale. 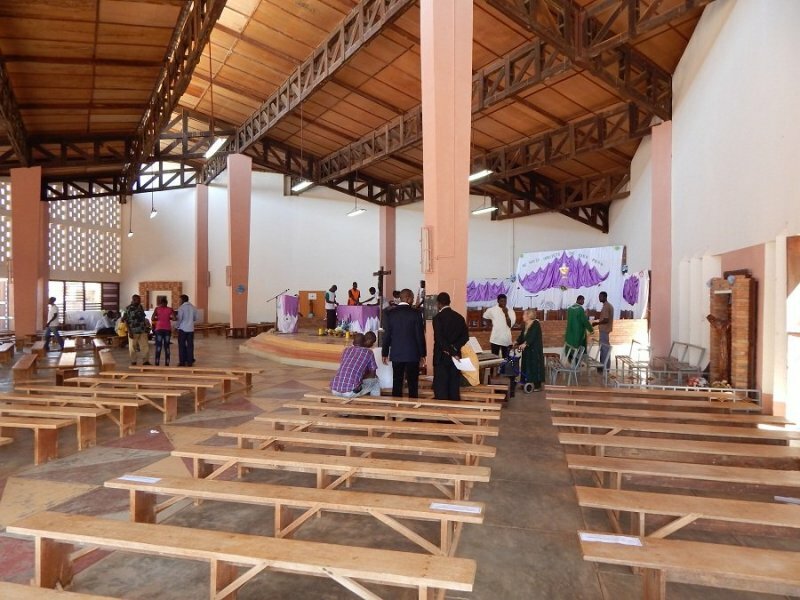 The city has been redeveloped so many times that there is probably nothing there they would have recognised, but by evening we were at NAVRONGO in Upper East Region which had been one of their overnight stops too. 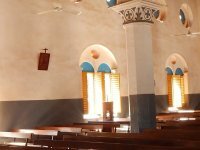 The old Cathedral is one of the most venerable Catholic churches in Ghana, built of mud bricks by the White Fathers about 1920. 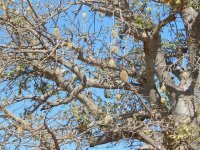 From Navrongo it was not far to the border with Burkina Faso. 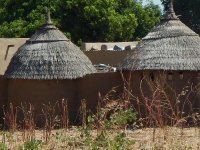 Until fairly recently the country was known as Upper Volta and normally featured in any short-list of the poorest countries in the world. It is a country of contrasts, however. 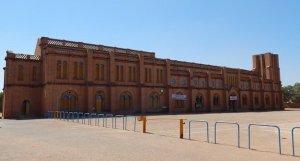 Since the end of the last century a new suburb of hi-tech buildings has grown up on the outskirts of Ouagadougou (known as "Ouaga Deux Mille") and the city somehow has an air of cosmopolitan urbanity which is lacking in our own capital, Accra. True for the city, but the countryside is probably unchanged apart from the narrow main-road running through the landscape. Through a camera lens you could imagine yourself miles from anywhere. 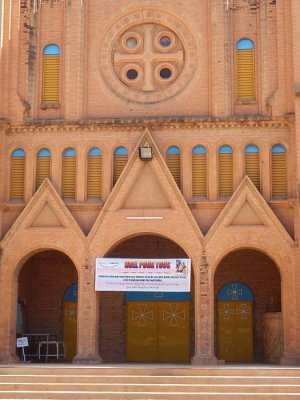 The most impressive building in the Ouagadougou is the Catholic Cathedral. It is of brick, probably built in the 1930s. The interior is very tranquil, bathed in a gentle light after the glare of the tropical sun outside. 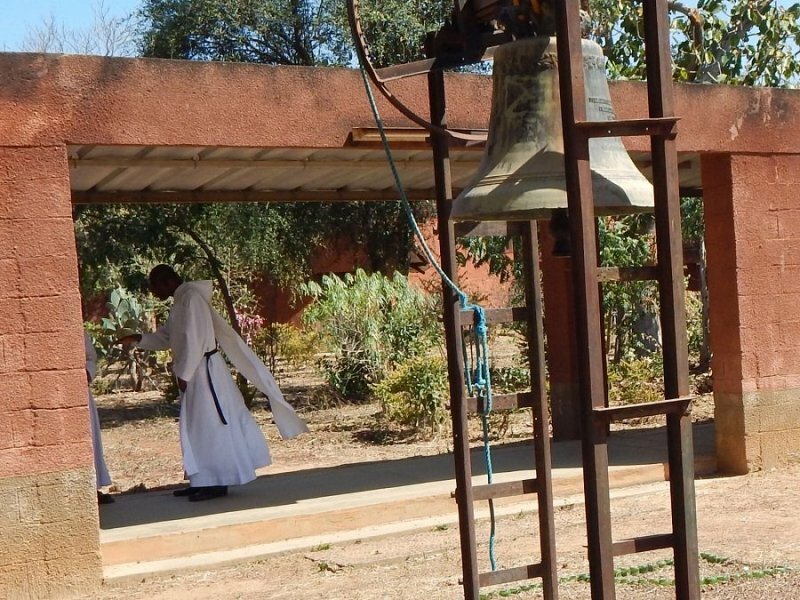 Our journey's end was the Benedictine monastery at Koubri, which belongs to our Subiaco-Cassinese Congregation. 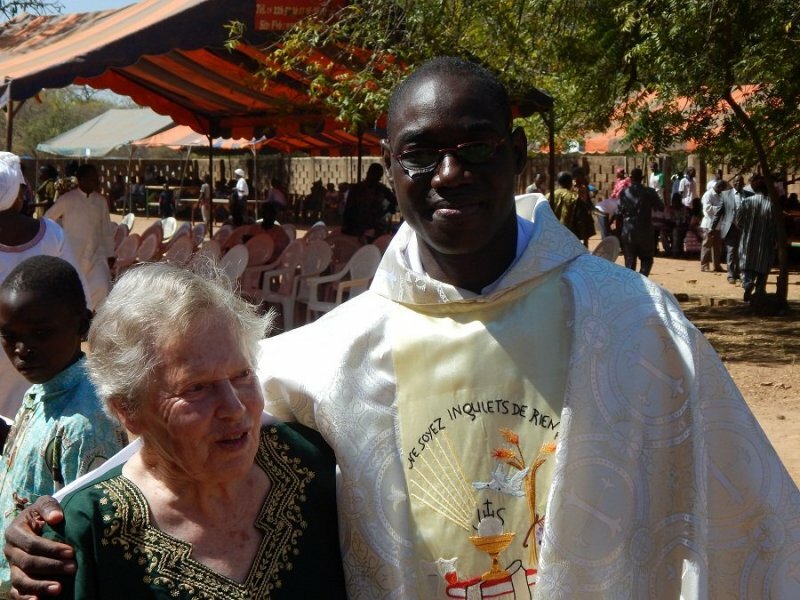 Four of our friends - freres Jean-Christophe (the Prior-Administrator of Koubri), Edmond Amos, Innocent Daniel and Jean Bosco - were being ordained to the priesthood, all had spent some time at Kristo Buase some ten years back to improve their English under the direction of Miss Monica Cowell. 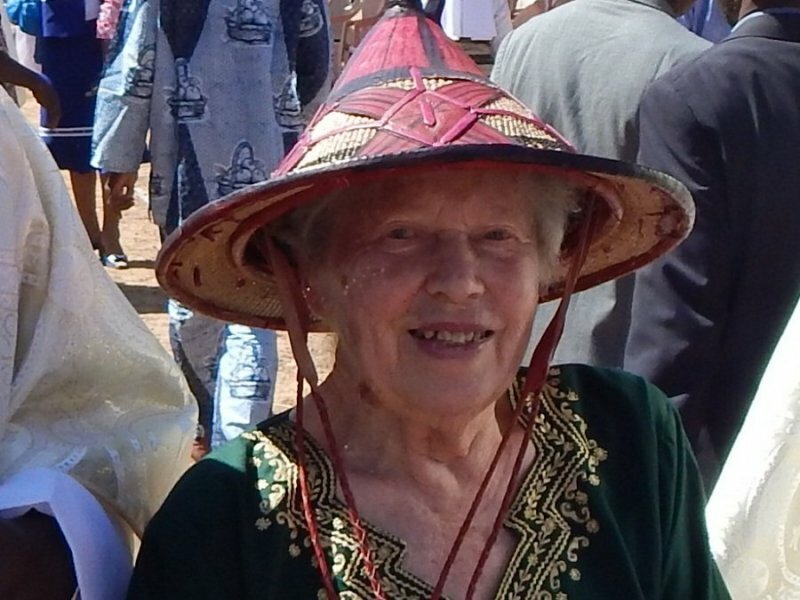 We were all happy that she was able to be present to share their joy. The following pictures have been loaded as a lightbox: if you click on them they will enlarge. 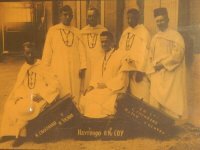 After the ordinations we headed straight home to be back in time for the solemnity of the Immaculate Conception, but in 1927 Fr Peter Harris and Fr Bernard Clements continued westward after returning to the Gold Coast. Their journey took them through Tumu, Lawra, Wa, Banda-Nkwanta, Sunyani, Techiman and finally back to Kumasi. 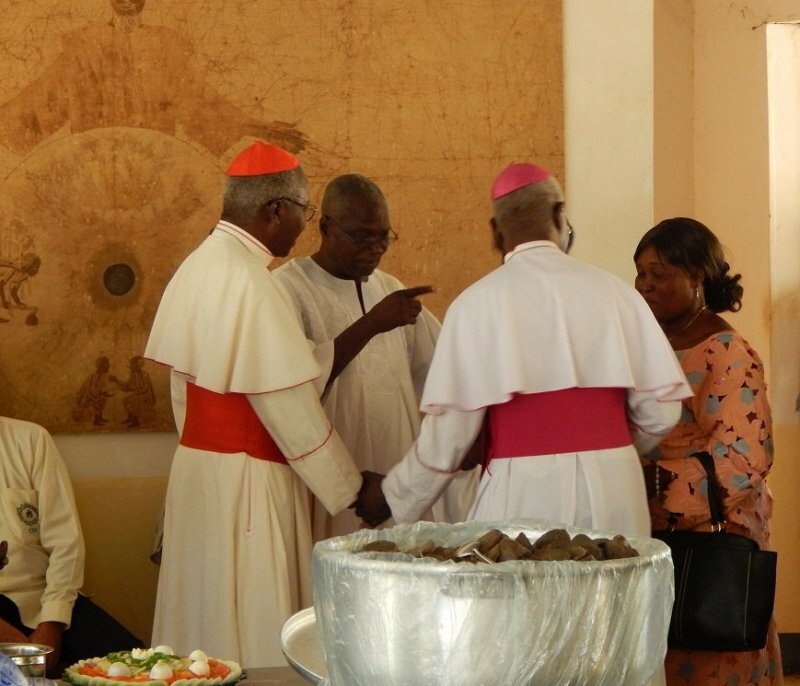 At the end of it they made a report to the Bishop of Accra that the most promising areas for an Anglican Mission would be Lawra or Wa Districts. 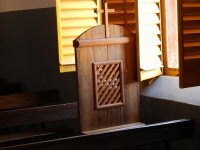 I found some documents in the Ghana National Archive which showed that the Government had assigned Lawra-Tumu district exclusively to the Anglicans for a mission. 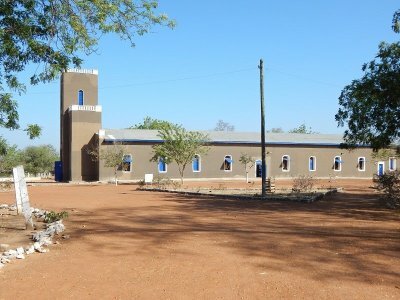 Bishop John Aglionby proposed to open two stations, presumably in the two principal towns of Lawra and Tumu, each with three European missionaries, one of whom would be a medical doctor. 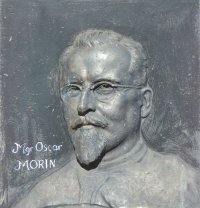 The projected starting date was about September 1931 (when the last six ordinands being trained by the monks would be ordained priest) but by April 1931 all the Anglican Benedictines had returned finally to England, two of them to retrain as Roman Catholic priests for Westminster Archdiocese. 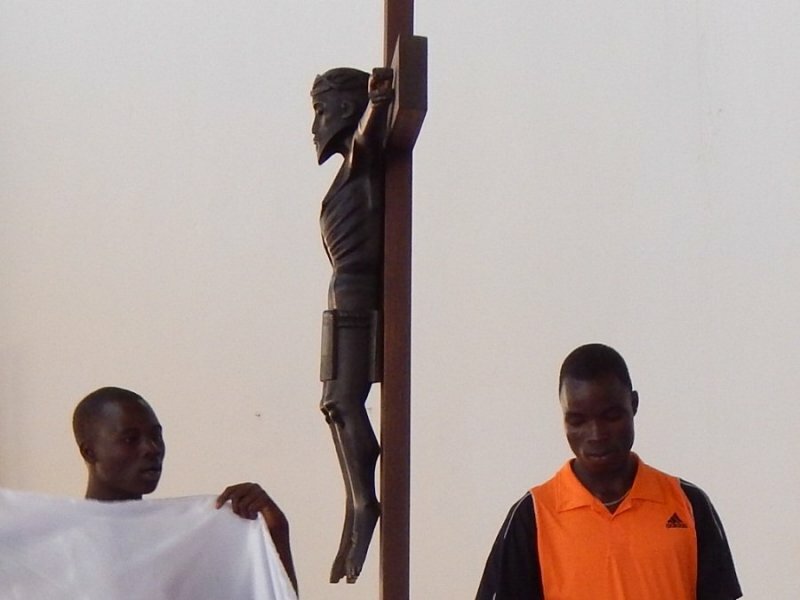 The Anglican northern mission ended before it had even begun and this north-western corner of Ghana, evangelised from 1928 by the Missionaries of Africa, is now a stronghold of Roman Catholicism. 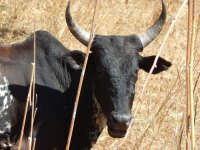 The choice of Tumu may have influenced Captain R.S. 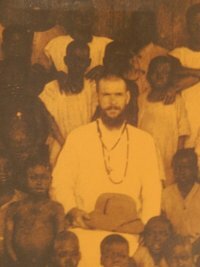 Rattray, the Government Anthropologist, to make the town the base of his last eighteen months of anthropological fieldwork (1929-31) for his book "Tribes of the Ashanti Hinterland" before he returned to England on reaching the Colonial Service retirement age of 50. 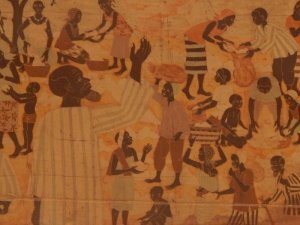 Rattray is still remembered as the author of several extensively researched studies on Ashanti culture. 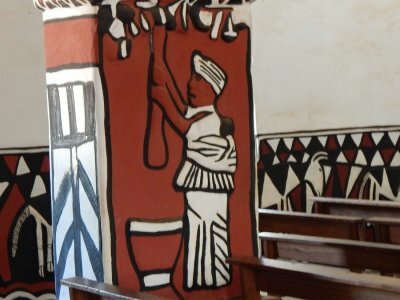 The first volume ("Ashanti", 1923) included two chapters on a research trip to our village of Tanoboase to visit the shrine of the river-god Tano. He was the first European to be allowed access to the Sacred Grove and the shrine of Tano in the rocks about two miles from our monastery. In fact he was a man of parts. He was one of the first to pilot a small aircraft across the Sahara from England to Ghana (landing at Tamale early in 1929; he was flying a Cessna Moth), and as the following photo shows, he was not averse to a bit of big-game hunting. 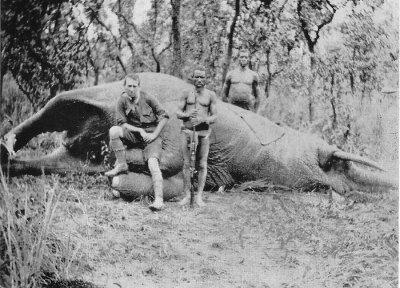 This elephant-kill was in Volta Region, the easternmost part of modern Ghana. Rattray occupied a semi-derelict bungalow, reputedly haunted by a friend of his who had died there of typhoid fever. There was talk also of the ghost of another British Colonial officer, "Fergusson", who appeared occasionally with a pack of lions. Rattray never saw them. 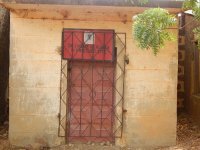 I haven't had a recent opportunity visit Tumu but it was a pleasant discovery to find that the ruins of the old District Commisioner's house at Lawra are still standing alongside the modern residence of the District Chief Executive. The watchman allowed us to wander around. It would have been a fine house in its day. 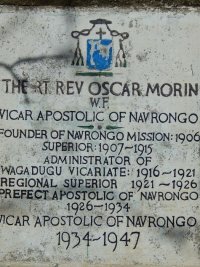 The monks recorded in their diaries of the trip that it was in this house, in January 1927, that they celebrated the first ever Anglican Mass in this northernmost part of Ghana. 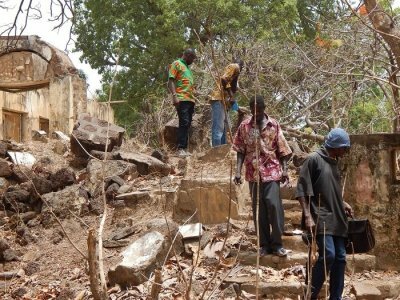 Lawra is otherwise remembered as the place where Kwame Nkrumah, the first President of post-colonial Ghana was imprisoned during the struggle for independence. Sadly, in trying to preserve the memory of the place, the local authorities have destroyed the actual building and put up something looking rather like a mausoleum. On the way back to Kumasi Fr Peter and Fr Bernard encountered some railway engineers at Banda Nkwanta surveying the route for a railway north. Ninety years on that project is back on the drawing board. 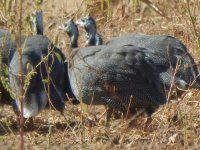 Sometimes things move slowly in Ghana.